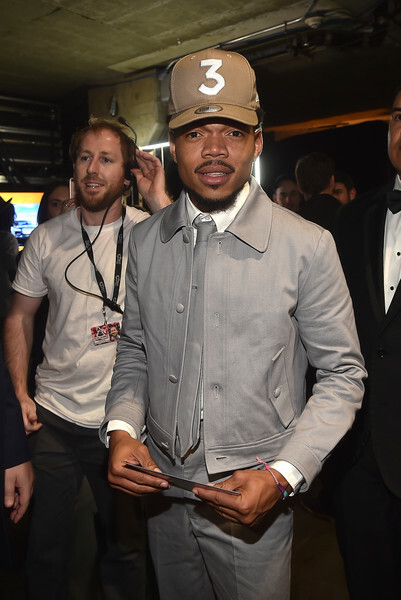 Hip-Hop Artist Chance The Rapper attends The 59th GRAMMY Awards at STAPLES Center on February 12, 2017 in Los Angeles, California. *Hot off of his Grammy wins on Sunday, Chance the Rapper is taking his act on the road for a spring tour. At Sunday night’s award show, Chance collected three Grammys for best new artist, best rap album, and best rap performance, also delivering a show-stopping medley of “No Problem,” “Blessings,” and “All We Got” along with a gospel choir and Kirk Franklin. Chance is also slated to perform at multiple upcoming music festivals, such as Boston Calling, Governor’s Ball, Firefly and many more. View Chance the Rapper’s tour announcement and dates below.